The rowing machine, also known as rower and ergometes, is the newest trend in the fitness world. And it has rocked the fitness world with its calorie-incinerating benefits. Fitness experts claim that using a rowing machine burns approximately 10-15% more calories than running or cycling! Here are the reasons why you should hop on a rowing machine and ditch that treadmill. Rowing is an effective aerobic exercise. Its cardiovascular benefits keep the heart and lungs healthy. You get a total body workout with the rowing machine. Rowing works on all the major muscle groups. It is one of those few exercises, which work on both the upper and lower body. Only a few exercises burn calories the way rowing machine does. 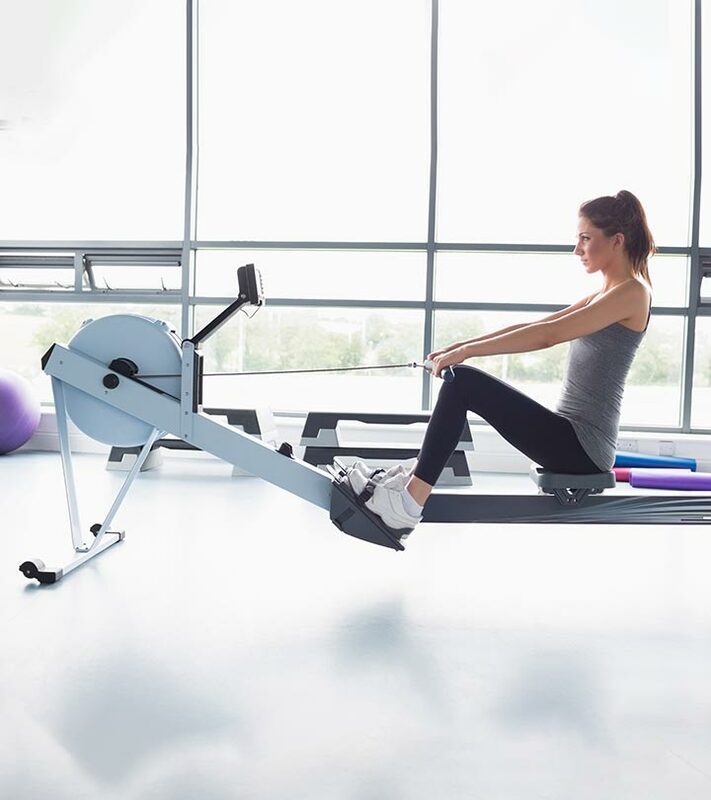 Rowing machine is effective for weight loss as the exercise provides both strength training and cardio workout. Yes! It burns fat and builds muscles at the same time! It is beneficial for endurance training. Vigorous rowing engages all the major muscles in the body and tones and strengthens them. It provides broader range of motion. Rowing machine provides greater resistance than cycling. The continuous pull and push motion of rowing provides resistance in not one but two directions. It is low impact in nature and can be used by people with joint problems. It is also suitable for elderly people. Rowing helps in improving the flexibility of the body as well as stamina. It has lower risk of injury. Rowing machine is a good option for cross-training. Rowing machine is convenient and efficient. It burns more calories in less time. Although regular rowing is challenging in itself, there are a few variations that you can do to up the challenge and make the workout even more intensive. Make sure to get a good warm-up before going all out with rowing! (a) The Catch: Sit on the rower and bending your knees, put your feet in the hold. After that extend your arms and grab the handle firmly in your hands. Make sure your back is not hunched and your abs are tight. (b) The Drive: Push with your legs, straightening them until they are completely unbent and pulling the handle with your extended arms at the same time. (c) The Finish: After you have straightened your legs completely, lean back making a 45 degrees angle. Keep your arms extended. Then reverse the technique to the original position. Power curls are great for your biceps. It also challenges the core more because you do your curls while holding the Finish pose. Do the simple rowing 3 times and hold the last one in the Finish position. Now, bending your elbows bring the handle towards your chin and uncurl. Do 4 curls while holding the Finish position. Repeat the whole exercise 5-8 times. 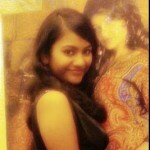 Side curls not only work on arm muscles but also help in cinching that waistline. This variation also increases the pressure on chest. Get into the Catch position. Make sure your back is erect. Now push while straightening your legs. At the same time pull the handles with your arms to your left side and lean back. Do the left side 8 times and then repeat for the other side. This variation is used to increase the cardio effect of the exercise. Sprints or extreme rowing lessens the intensity on the resistance aspect while increasing the speed of rowing. This result in a greater aerobic activity leading to extra calories burnt. In this exercise you do the regular rowing, but the difference is you do not take the handle all the way back. Increase the speed of rowing while stopping in the Drive position. Do as many as you can in 1 min. To intensify the exercise, you can increase the time period and the speed of rowing. This variation emphasizes the strength training aspect of rowing by increasing the resistance and lowering the cardio activity rate. In this variation, do the simple rowing but at a slower pace. Reaching the Finish position, bend your elbows and pull the handle back towards you. Lean back as much as you can while pulling the handle. Do not hunch your back. This is not much of a variation but a workout. The change in this exercise is that we alternate rowing with calisthenic exercises. Do one set of rowing (12 times) or row for 1 min. Then do 8 alternate walking lunges. Again do a set of rowing. Then do 8 squats. Do another set of rowing and do plank twists. Rowing machine is a great way to get into shape and burn calories. But it is important to make sure your technique and posture is good. It is advised to gradually get used to the machine with slow simple rowing. Try the variations once you get the hang of it. Another important thing to keep in mind while rowing is the breathing technique. Inhale while in the Catch position, exhale with force when you pull the handle, inhale when get back into the original position. Always end a rowing workout with a good stretching session. So, when you have got only 30 minutes to workout or are not in the mood to do anything complicated, just hop on to an inside rower. It will blast those pounds and get rid of those extra inches. And the bonus? Rowing is real fun! Was this article helpful? Share your feedback with us in the comments section below. 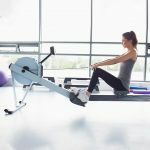 Seated Row Exercise – How To Do It And What Are Its Benefits?